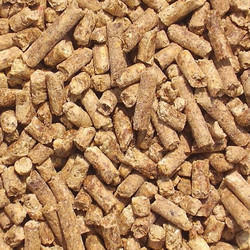 Our organization is a leading name in the market engaged in manufacturing, supplying and exporting EMU Feed. The range available with us includes emu pre starter feed, emu starter feed, emu grower feed, emu breeder feed, emu layer feed, emu farm feed and emu maintenance feed, among others. These are processed marinating all hygienic standards at our sophisticated production unit. We offer our product in moisture proof packaging material to maintain the shelf life of the feed. Note: This one of the most advanced nutritional feed for Commercial Ratite Laying Process, suitable for Emu. 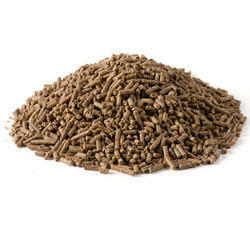 Its a medicated textured feed for enormous egg laying process, that generates production above genetic potential of the Emu. Suitable for Large Commercial Emu Farms with a strength of 1000+ Breeder Pairs. Owing to our years of experience in the respective domain, we are engaged in offering our clients 100% vegetarian and healthy EMU Starter Feed. Ingredients like cereal, grains, pulses, soy meal, essential amino acids, vitamins, minerals with micotoxin, aflatoxin and mold binders are used in the production of feed. 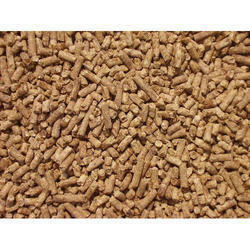 Our feed is not only healthy but free from any adulterant and completely safe for consumption. With the support and assistance of our professionals, we are engaged in manufacturing, supplying and exporting a wide range of EMU Breeder Feed. The feed we offer is nutritionally well balanced and processed by experienced nutritionists. Our feed ensures uniform and fast growth of the emu, giving More number of hatched eggs. Avail from us an extensive range of EMU Grower Feed, which is rich in crude protein, fat and other vital nutrients, which increases the energy level. Processed hygienically, our range is offered in the packs of 39 Kgs to meet the bulk requirements of our clients. All the ordered of our clients are delivered as per the scheduled time across the globe.